I guess having Maytag equipment at a laundromat is necessarily a guarantee of success: this one was out of business. 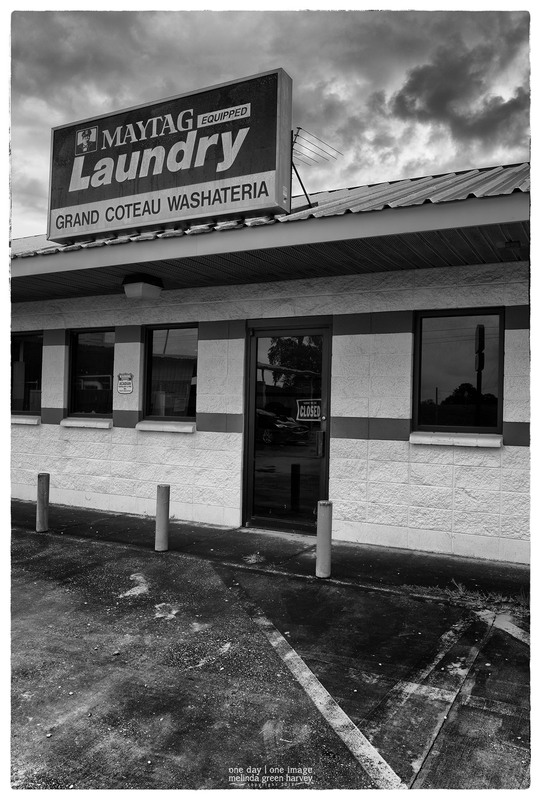 Posted on November 2, 2017, in Photography and tagged 365 photo project, black and white photography, Grand Coteau, Grand Coteau Louisiana, laundromat, learning to see, louisiana, melinda green harvey, monochrome, one day one image, photo a day, photography, postaday, thoughtful seeing. Bookmark the permalink. 2 Comments. Old Lonely is probably really lonely now! Now that you mention it, I didn’t even see him! Maybe he was across the road at the casino?